We understand. You want some equipment, but you’re balking at spending several hundred dollars. No problem. Here’s what to do. Ok, first of all, it really depends on your goals. We’re generalizing here, but we’re directing this towards people (yes, men AND women) who want to build muscle and just get into better shape. You can do a lot with a pair of adjustable dumbbells and a simple flat bench. Bench presses, squats, lateral raises, bent over rows, flys, curls… The point is if you start Googling for dumbbell exercises you’ll get a never-ending list. The dumbbell set above you can load up to 62.5 lbs per hand. You can actually load them up to 85 lbs per hand if you buy 8 additional 10lb plates. 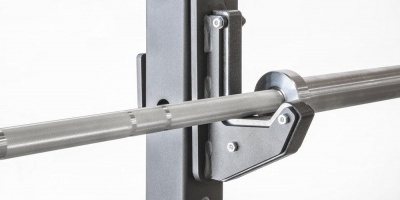 Be careful about budget weight benches you see at sporting goods stores. They are only made to sell, not to be used by someone serious about it. They will have soft padding that won’t feel as stable as a real bench, and they will be made of the most light-duty steel they can get away with. And you will hit their weight limit right away if you factor in your body weight. These can be used a couple ways. Traditionally kettlebells are for fast-paced conditioning workouts with high reps. But they can also be used for a lower-rep muscle building workout if you get the right weights and pick some bodybuilding style exercises. Get a couple weights of these and you’re on your way. We don’t make a lot of sales saying this, but honestly, with or without equipment, you should be doing bodyweight exercises to make (and keep) your body ready to start taking higher loads with weights and stay injury-free. This means plenty of pushups and squats with no added weight. If you have a wall to lean against, you can do handstands, and eventually work on handstand pushups. Do pistols (one legged squats) for a challenge.You can get creative and learn all sorts of quadripedal drills. 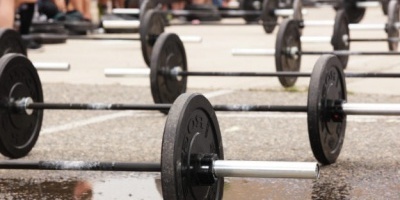 All of this will prepare you better to handle heavier weights and get stronger. As an alternative to bench pressing, see Mike Dewar’s article on chest exercises you can do at home with no or minimal equipment.